More than two million people are incarcerated in United States prisons, as well as local and county jails. One in three Black men in the U.S. will go to prison or jail if current trends continue. And today, nearly one in two Black women have a family member in prison. Join us for a conversation with social entrepreneurs who are bringing justice back to the criminal justice system. Hosted by WNYC’s Jami Floyd. Glenn Martin is a 2014 Echoing Green Fellow and founder of JustLeadership USA, a national nonpartisan membership advocacy organization working to reduce crime and cut the US prison population in half by 2030. Gina Clayton is a 2014 Echoing Green Fellow and founder of Essie Justice Group, a national organization of women that aims to restore family unity and safety to U.S. communities that are hardest hit by mass incarceration. 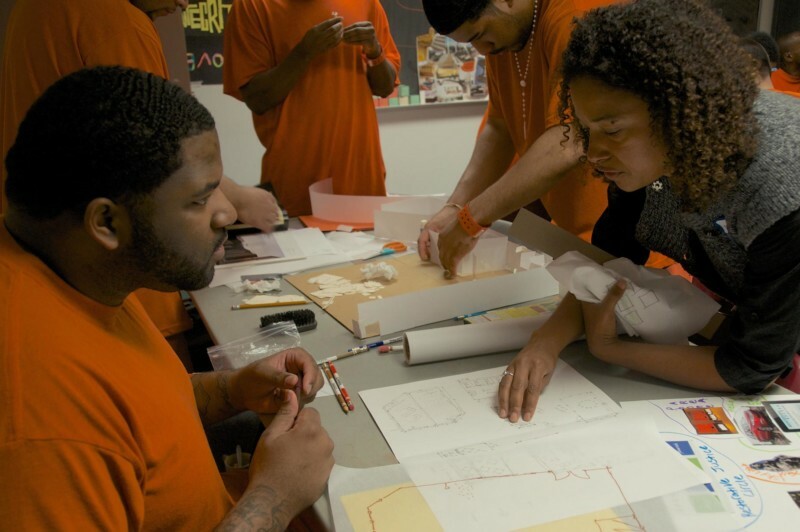 Deanna Van Buren is a 2016 Echoing Green Fellow and co-founder of Designing Justice + Designing Spaces, which engages communities in the design and development of buildings that integrate restorative justice, economics, education, and reentry housing.